One of the most popular car brand Volkswagen in India has launched another special edition of Ameo, the ‘Ameo Corporate Edition’ at a starting price of 6.69 Lakh. This variant is only available in the Highline Plus variant with MPI and TDI engines options. 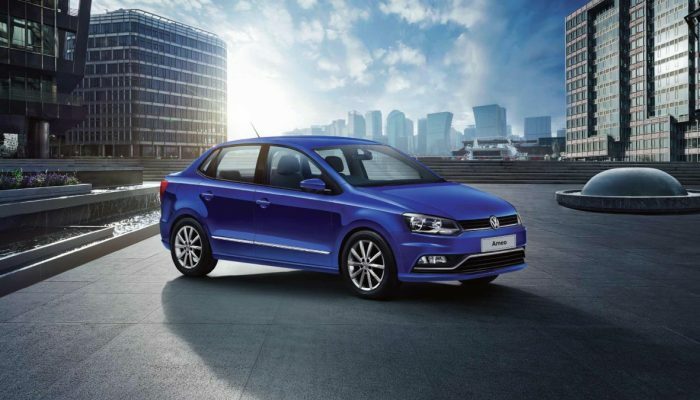 The Ameo Corporate edition will be available in 1.0-litre MPI petrol and 1.5-litre TDI diesel engine. The petrol engine will produce 76PS of power and 95Nm of torque while the diesel engine can produce 110PS of power and 250Nm of torque. Five colour options are available for the Ameo Corporate edition which are Lapiz Blue, Reflex Silver, Candy White, Toffee Brown and Carbon Steel. The company said that The Ameo Corporate edition is designed for the Indian market and will cater to young business customers and individuals. “The made-for-India and made-in-India Ameo is carline specifically developed for the Indian market. It’s a true testament of German engineering in a compact sedan filled with segment-leading features. Through the Ameo Corporate edition, we aim to offer globally renowned standards of safety, quality and fun-to-drive experience to all our customers,” Steffen Knapp, Director (Volkswagen Passenger Cars), said. Maruti Suzuki Vitara Brezza Petrol Coming Soon?